Amy Ruiz Fritz February 16, 2011 February 16, 2011 No Comments on >Stalker’s delight? 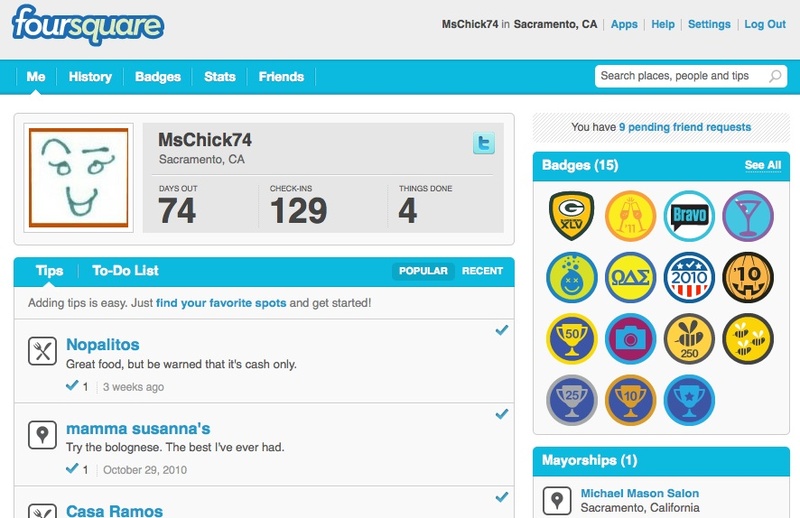 Foursquare has lured me in with its offering of badges. Why I want these pieces of digital memorabilia is beyond me. Then again, it’s pretty much public knowledge that I am a sucker. Just read a few of my entries about dating if you need some evidence. There are times that I will check into places just to get the badges even if I’m nowhere near them. Honestly, the “specials” hold little value to me because I almost always check into a place after I’ve left it. What really intrigues me is when someone puts their house on the site. Have they not read the countless articles about how people are digging through their trash and stealing their privacy? Won’t that just help the criminals and crazies out if you plot out the exact location of your house on a map and then tweet it or Facebook it?